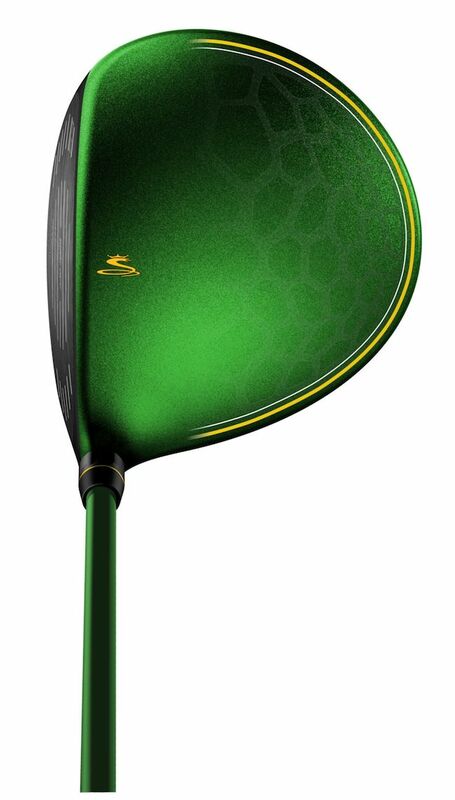 One of the best things about the build-up to the Masters is the launch of limited edition equipment and Cobra has jumped the gun in some style with the release of a limited edition green BiO Cell driver. As amateur golfers around the country head into the shed to dust off their clubs and head out for their first round of the year, Cobra is kicking off the major season with the introduction of this fantastic limited edition driver. Beginning on March 15, only 2,014 units of the Limited Edition Driver will be available at select golf retailers around the world with each driver laser-marked sequentially 0001 of 2014 on the sole for authenticity. The new driver from Cobra features MyFly8 technology, which is an expansion of the 2013 MyFly technology to give you the option to adjust your trajectory between eight different loft settings. The E9 Face technology removes weight from the face and repositions it lower and further back to create a larger sweet spot and give consistent distance of off-centre hits. The Limited Edition Green BiO Cell Driver has an RRP of £299 and features an Aldila ATX Tour Green shaft and a Cobra Lamkin Ace 3GEN 360 grip. The Limited Edition grip, BiO Cell Headcover and wrench come in matching green and white. With a very limited number of these drivers available, you'll need to be quick off the mark to get your hands on one of these. Click here to find your nearest Cobra dealer.